It’s that time of the year again: when March hits, I immediately begin pining for the Spring planting season. We still have a few months before we can actually plant anything in the open, but that doesn’t mean I can’t get a head start now. With all the seeds I’ve been saving from last year, I have plenty stocked up to allow me to get ahead of the frost. 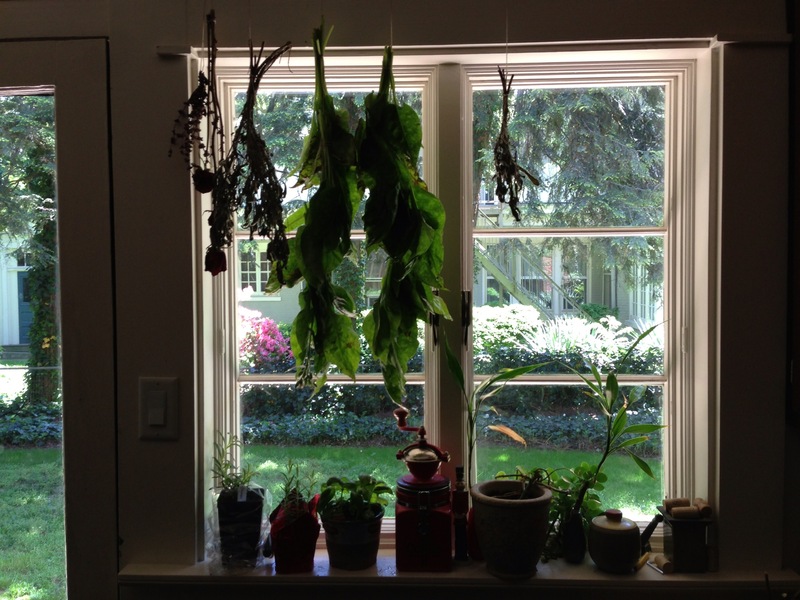 A few years ago, I started my garden early with a store-bought seed starting kit. It was basically a black plastic basin with a clear plastic domed lid. I set it in front of a window and it worked really well. It gave the seeds everything they need to get started: a temperature controlled environment, light, and constant moisture. It also cost $40, and when I brought it out from storage the following year the clear plastic lid had broken in half and had to be sent to the recycle bin. This year I decided to make my own. I was planning to build a complex frame system into which I could set panes from an old window to replicate that clear plastic dome. As I looked around our old attic for a junk window, I found this old transom. I decided to switch gears and save myself some time. What is really awesome about this old transom is the way the paint peeled off the glass. At some point the whole window was painted, and over the decades the paint peeled itself off most of the way, leaving these “fingerprints” behind. I have never seen anything like it, and was tempted to just hang it on the wall as-is. But instead, I moved ahead with the project. Sorry Art; Utility wins today. I have a lot of tongue-and-groove porch boards left over from a project last year. 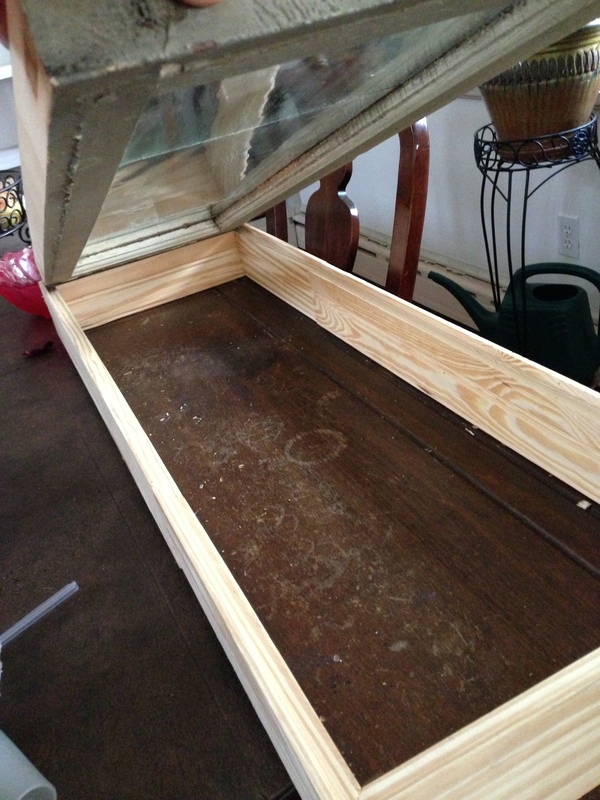 It’s yellow pine, which has a good tolerance for moisture, so I decided to use that to build the frame for the glass top. The trusty table saw came out and zipped off the groove and half the tongue on each board, leaving a flat surface on one end and a nice frame on the other. 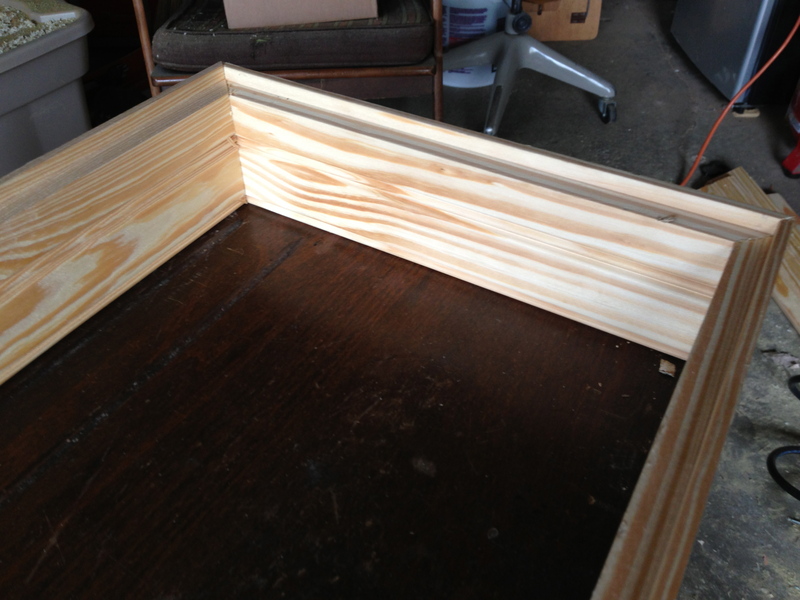 I mitered these together so that the transom would fit snugly inside the frame without gaps. I screwed the frame onto one of the hutch shelves that was left over from the hutch project. Everything fit together nicely. I may end up building some more frames for additional glass panes around the sides to give it a dome shape once the young plants get too tall, but that can wait for another day. I was limited on space inside my new terrarium, so I started with the plants that need the most time: tomatoes and peppers. I also planted a bunch of lettuce since that’s a plant we can continually harvest as it grows. In total, this project cost me zero dollars and about two hours from start (looking for an old window in the attic) to finish (seeds planted and dirt cleaned up). 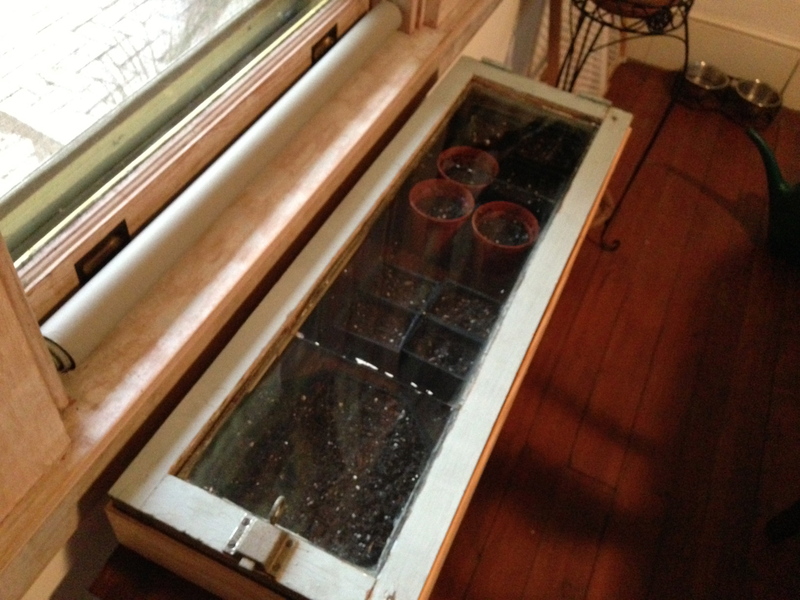 Take that Winter: two cubic feet of Spring just started inside my dining room. May the germination begin!